By now we’re all familiar with research pointing to the potential harm caused by too little sleep. It’s the one thing we often blow off in our hectic lives, yet sleep replenishes our systems, lowers stress, improves memory, spurs creativity, decreases appetite, reduces risk of heart disease, stroke, diabetes, arthritis, premature aging and leaves you feeling refreshed. 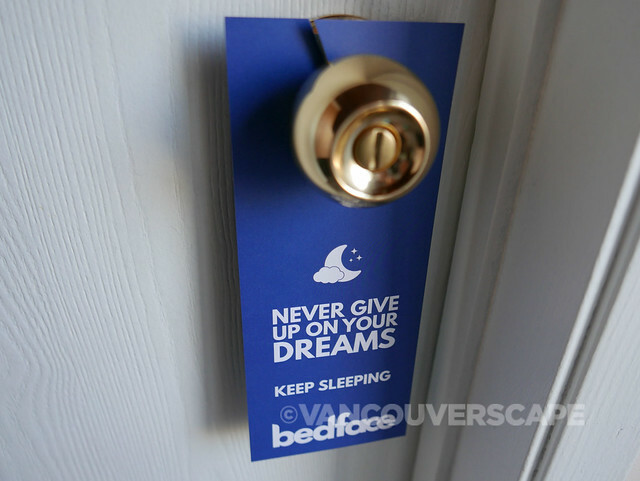 This short list alone should be enough to motivate us all to load up on shut-eye! My husband and I get our full eight hours (and then some) on a regular basis. 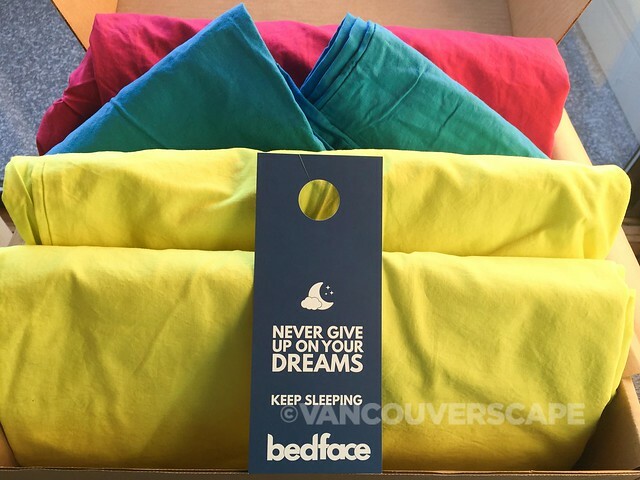 Maybe it has something to do with these colour-splashed cotton sheets by our friends at Bedface, a Vancouver-based company in the business of making the “Best damn sheets on the Internet”. 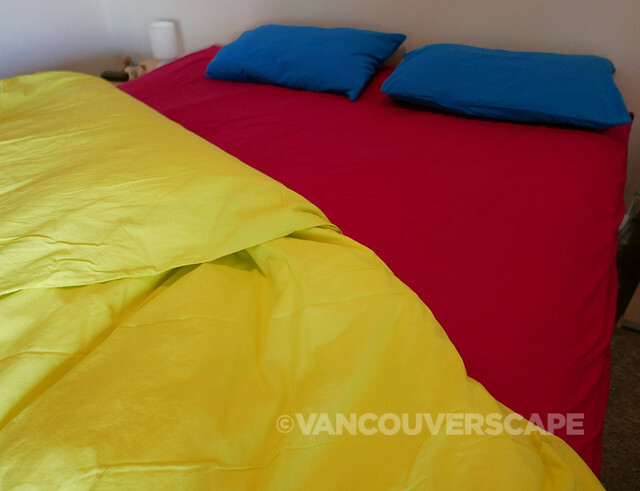 We’ve been using their sheets, pillowcases and duvet covers for awhile now and the colours have faded very little while the softness has increased. Dream big with these bold colours – or go neutral with lighter tones and neutrals. The Bedface website lets you pick your own colours to create a set or select from dozens of sheet and sleep sets priced by size. There’s easily hundreds of potential combinations to suit all tastes and bedroom decor. Bedface sheets and pillowcases are produced from long-staple, breathable 100% cotton, meant to last without pilling or tearing. They’re pre-washed and have a matte finish with a bit of texture. All colours can be washed together in the same laundry load too. 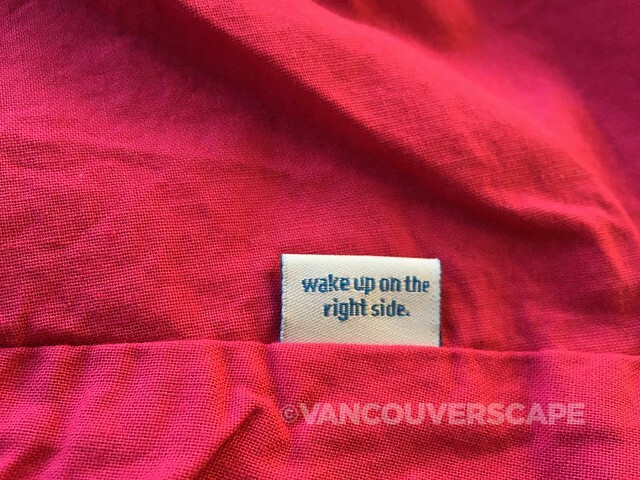 A little Bedface logo label on the bottom right acts as a beacon so you’ll always put the sheet on the correct corner of your bed. Our sheets arrived a week after placing the order. 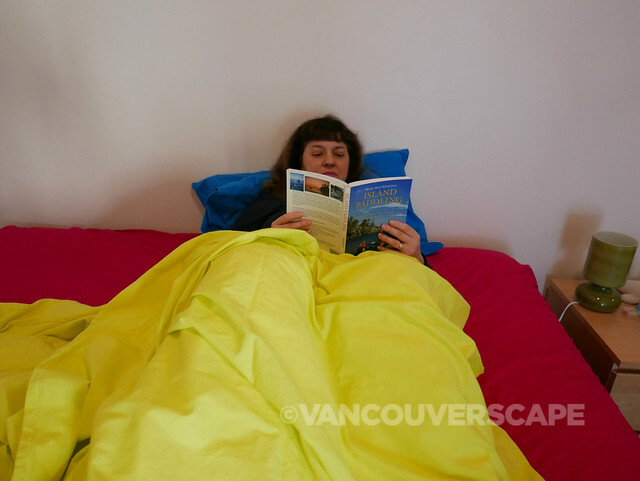 In our box: a fitted king sheet in Siesta Pink, twin duvets (read why here!) in Citron and two pillowcases in Coastal Blue. So much colour pop! No more boring sheets for this household! 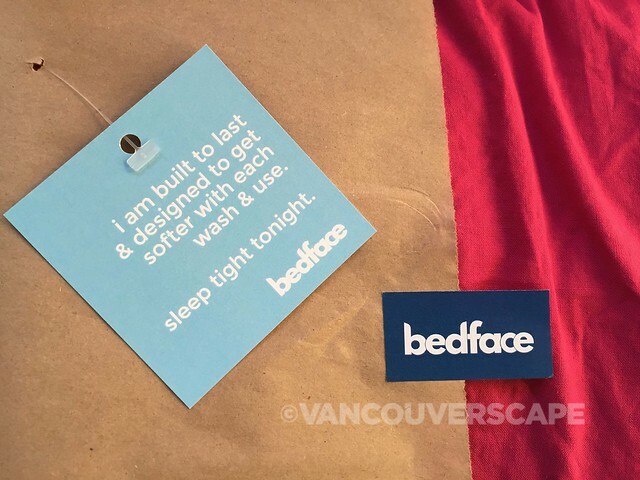 All pieces include the Bedface 100 Night Guarantee; return for a full refund if you’re not happy (even after washing and sleeping on them for 100 nights). We’re still blown away by this: most stores don’t allow returns unless the bedding is still in its packaging. A $9 flat shipping rate gets the sheets to your door in a few days (in Canada and USA; add a few more days for international orders at a $19 flat rate).